Hey! Beginner Jazz is a level open to anyone (no experience necessary) who is looking to improve their dance ability or try something new! Classes will consist of a warm up followed by across the floor/stationary exercises to improve technique and learn new dance moves. We will finish the class by learning a short combo! Jazz as a type of dance is a pretty broad category so I will try my best to bring different styles and genres of music to the table so that students can get a feel for multiple aspects of jazz dance and find what they like best. As well as learning short combinations, the class will be working on longer dances to perform at mini-recital and final recital! Although no experience is necessary for this class, students are expected to come to class with an open mind and ready to work their hardest so that they can improve as much as possible. Can’t wait to have an amazing time dancing with all of you this year! Fave part of QDC: When I joined QDC in my first year at university I had no idea how drastically it would improve my university experience. 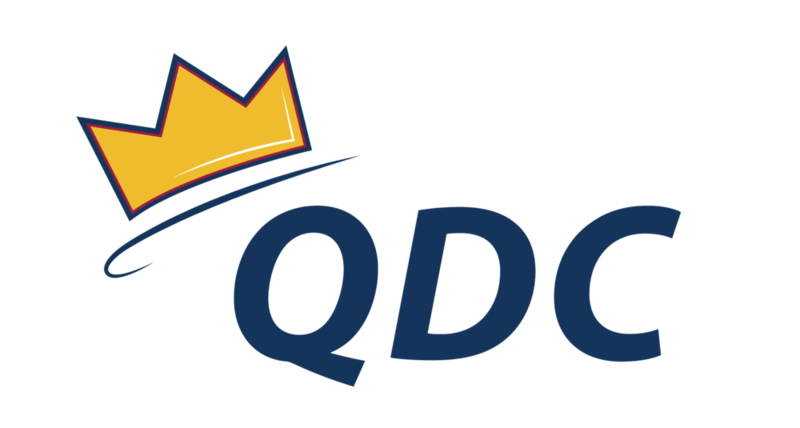 Through QDC I have made many valuable friendships and connections that will last a lifetime. I have been able to maintain a level of dance ability similar to that of my high school dance career through QDC which I thought was something that would not be possible after graduation. The semi-annual shows are always the highlight of my semester. It’s safe to say that QDC takes up a majority of my time at university (possibly more than school!) and I wouldn’t want it any other way. What is your favourite binge-worthy Netflix show? Ignoring the fact that I’ve seen the Office 3 times over, I love crime shows such as Mindhunter and the Staircase. If you were an ice cream flavour, which flavour would you be and why? Tiger tail: because it’s unique, and its a pleasant flavour with a bit of a kick to it. Guilty Pleasure: Junk food, the only reason I keep myself so active is so that I can enjoy foods that are terrible for me. I have been dancing for the past eight years, and before that I trained as a rhythmic gymnast. My dance training has included experience with ballet (Cecchetti and RAD), jazz, contemporary, acrobatics, hip hop, stage and lyrical. I have taught jazz and acrobatics to classes of varying ages and levels throughout high school. In addition I have taught Beginner Jazz for QDC for the past two years and am very excited to be teaching it for my last year! Check out this video of Dessa's choreography to see what you'll be learning in Beginner Jazz! You can contact Dessa and her Co-Director with any questions regarding QDC sponsorship opportunities at sponsorship@queensdanceclub.com.